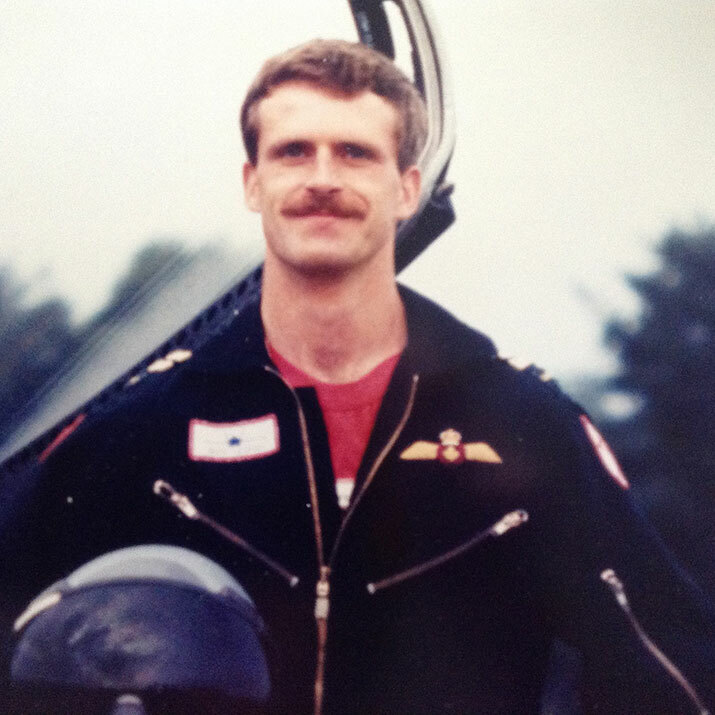 The memory of a young Canadian pilot has been kept alive through a special trust fund administered by the Canadian Wildlife Foundation, the Captain Richard Lloyd Memorial Fund. Captain Richard Lloyd lost his life in January 1992 at age 30 while serving with the Canadian Armed Forces in Cold Lake, Alberta. His family set up a trust fund in his memory to promote the recovery of raptors in Canada. Originally from Barrie Ontario, Captain Lloyd was a strong Canadian Wildlife Federation supporter. As a boy, Captain Lloyd developed an interest in raptors, especially the peregrine falcon (Falcon perefrinus). His lifelong interest in nature was first sparked at summer camp and his family’s cottage. He spent countless hours out in nature, observing wildlife. As an adult, Captain Lloyd spent much of his time fishing, hiking, and observing the raptors (birds of prey) that particularly fascinated him. Captain Lloyd’s parents, Tina and Griff Lloyd are happy the memorial fund will help continue the excellent work carried out by CWF for the benefit of all who care about this great land of ours and its wildlife. Anyone wishing to learn more or donate to the Captain Lloyd fund can contact Foundation Director Louise Hanlon at louiseh@cwf-fcf.org or by phone 1-800-563-9453.